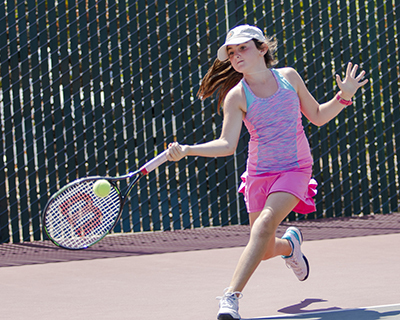 Multimedia Tennis attends several events and clinics each year and takes high quality action photos of players. If you run a tournament or have an event or clinic at your club and would like us to take photos, please contact us. Doing a periodic video/photo shoot is a great way to measure progress as well as have keepsakes to look back on. We are also available to take action photos for individuals by appointment. Please contact us for details! 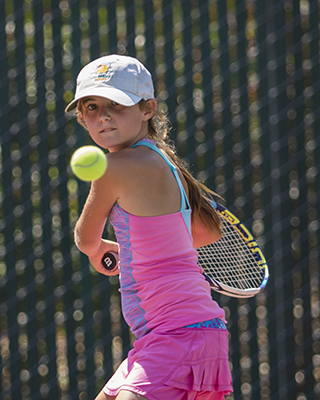 Multimedia Tennis uses Dartfish Stromotion to create memorable action photos or video of you playing a point or executing a stroke. It's an eye catching and unique way display yourself or a loved one in action. We use Stromotion to capture a sequence of static images from a video. The Stromotion sequence is a great way to analyze movement patterns, but it also makes for a memorable keepsake on a poster or bag tag.